Heather Turner is a young military wife who simply wants her husband back to normal. For 15 months she took care of the children, cleaned the house, and led a ministry for military moms as her husband – a chaplain – served Army personnel in Iraq. Yet now that he’s back, he is anything but the loving, devoted husband and father she remembers. He’s short-tempered and despondent. Instead of spending time with the children, he sits in the backyard, staring at the grass. Instead of spending time with her on a date, he argues … a lot. Finally, Heather tells him to leave the house and not to return until he’s changed. 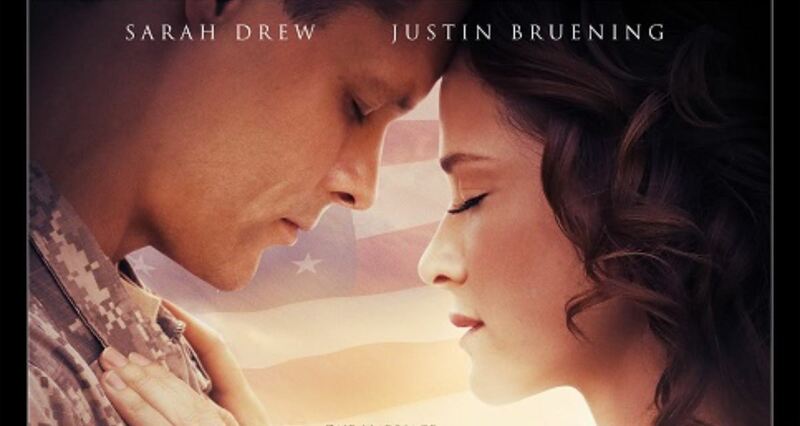 The faith-based movie Indivisible opens in theaters Oct. 26, telling the story of a chaplain who goes to Iraq and returns as a different man, changed by the horrors he saw and the stresses he experienced. It stars Justin Bruening (Grey’s Anatomy) as Darren Turner and Sarah Drew (Grey’s Anatomy, Mom’s Night Out) as his wife, Heather. 1. It’s based on a true story. 2. It’s directed by the same director of The Grace Card. 3. It’s the first movie about a military chaplain. It’s also reportedly the first film with a central character who is still on active duty. Evans said he’s “always been intrigued by the role that chaplains play in the military” and was writing a screenplay about a fictional chaplain when he read a news story around 2012 about Darren and Heather Turner. “We all know how easily marriages are torn apart in our nation's military during times of deployment and the struggles faced by our soldiers,” Evans said, “but the last thing I thought I would come across was a story about how a chaplain's marriage had broken apart.” Because Darren is still on active duty, it took several years for Evans to be granted permission to make the film. 4. It’s not just for military families. Indivisible is rated PG-13 for some thematic material and war violence.